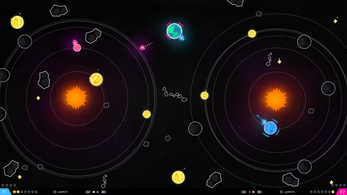 Flagships is a simple competitive arcade game of space conquest for 2 players! 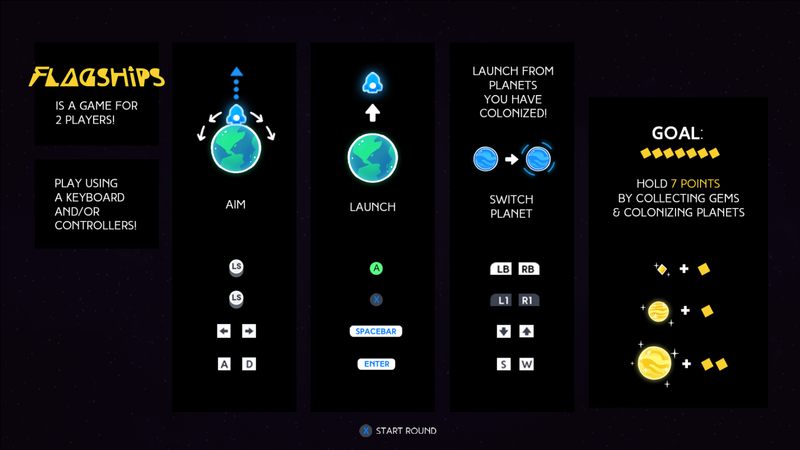 Launch rocket after rocket into space, aiming for faraway planet to turn into colonies and hoping to collect a few precious golden gems on the way! 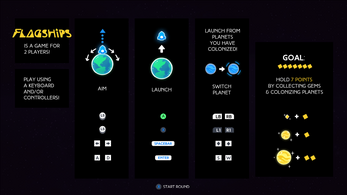 Race with another nation for control of each space quadrant by launching rockets from all your colonies! 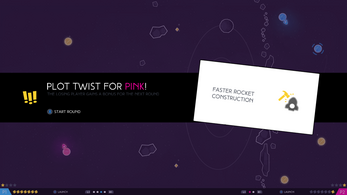 A keyboard and/or controllers! You can play two players on the same keyboard, or one on the keyboard and one with a controller, or with two controllers (recommended! 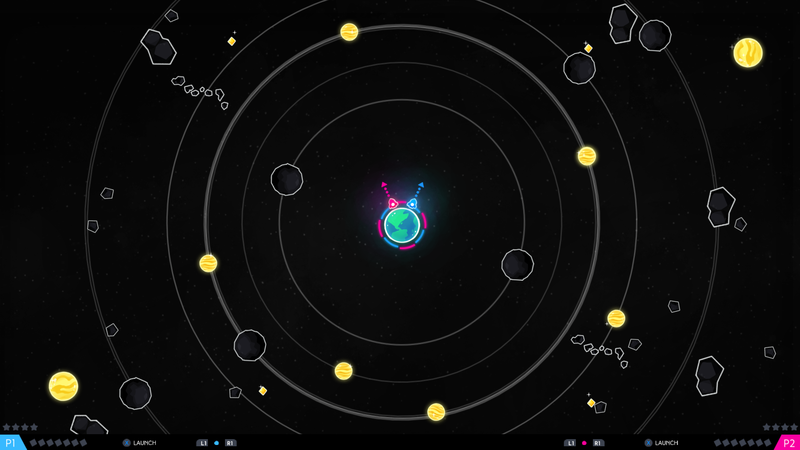 Collect 7 points by grabbing gems (+1) or conquering yellow planets (+1 for small planets, +2 for big planets). Hint: You can kick your opponent out of their planets by crashing your ship onto their colony! Plot Twists! At the end of every round, the losing player gets a random surprise bonus! Controllers heavily recommended for precision! Originally built by Neverpants in 48 hours for the Indie Speed Run. 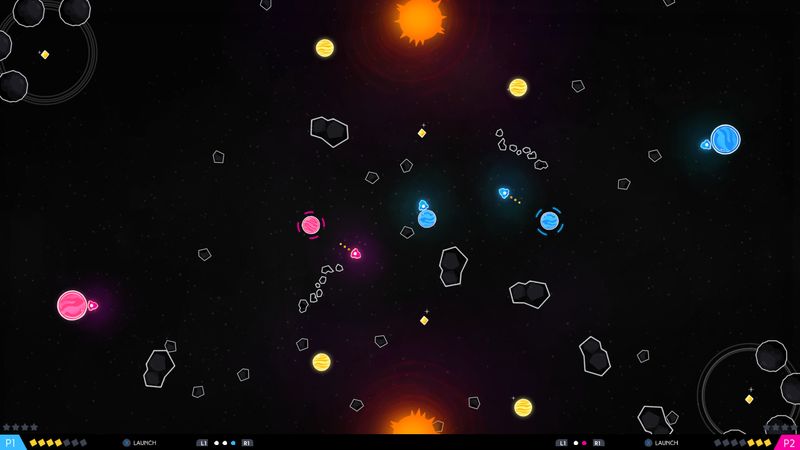 We fixed a few things and added a few levels to this post-jam version.